Strangely enough, Deadline’s Mike Fleming Jr. offers a nibble of what sounds like sympathy, calling Affleck’s particular pickle a “no-win situation, with all the attention surrounding the #MeToo movement.” Pardon me, but hasn’t he already won? The man received an Academy Award and accepted said award with the smug humility of a man who got away with it; he thanked Denzel Washington for teaching him how to act, and Denzel made that face where your mouth disappears into your cheeks and you consider disappearing into the ground forevermore. Positioning an accused sexual harasser whose allegations and settlements happened before Harvey Weinstein cracked the whole thing open as being in a “no-win situation” is in extremely poor taste; that’s neither here nor there. 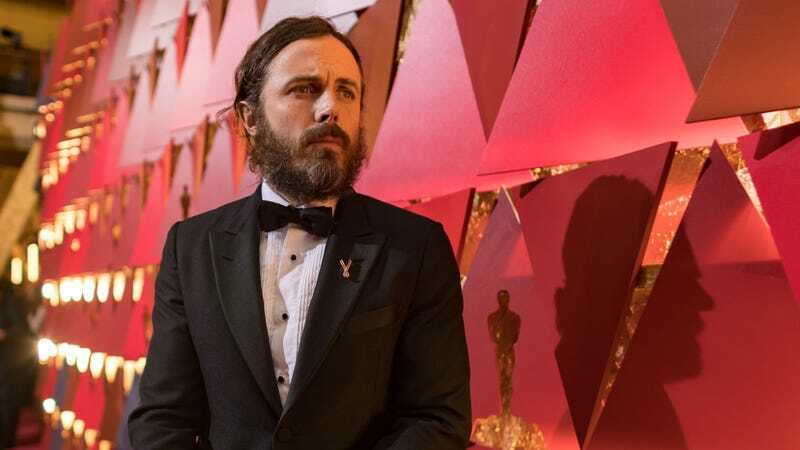 What matters is this: Casey Affleck is sitting this out likely because his publicist knows better. A previous version of this item said Casey Affleck was sued for sexual assault; in fact, he was sued for sexual harassment. Jezebel regrets the error.